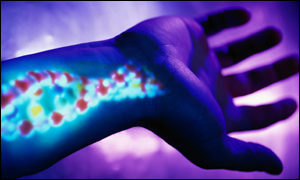 Touch DNA. What is it? Where is it? How much can be found? And, how can it impact my case? Trace DNA Analysis – if your DNA is on the evidence, did you really touch it? Forensic DNA Consulting services provided by an experienced DNA analyst and former DNA Technical Leader. Let us review your DNA case for accuracy and adherence to protocols. Expert witness services and trial preparation/consultation assistance is also available.